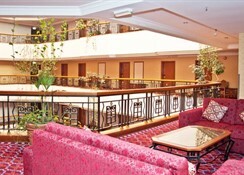 Located along Trade Centre Road in Bur Dubai and directly opposite Burjuman shopping centre, the Regent Palace Hotel is an exceptional venue. Featuring a rooftop pool, a fitness centre, hot tubs and a swanky gym, this hotel is well suited for both business and leisure travellers. 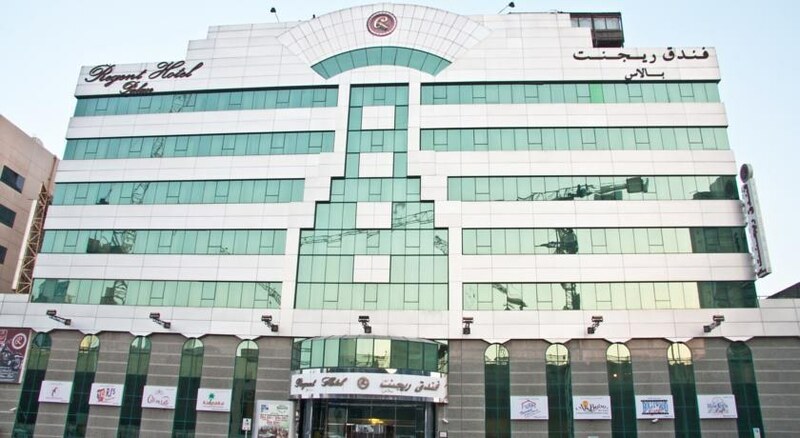 All accommodation units at the hotel are fully-equipped with the necessary amenities and come as standard with satellite/cable TV, internet connection and a minibar. Guests may enjoy a broad range of drink and dining facilities such as the Far East Seafood Market and the Rock Bottom American nightclub. 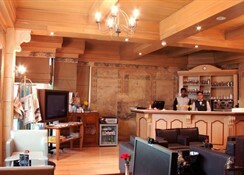 Other facilities include a currency exchange desk, a hairdressing salon and a business centre. 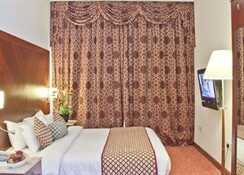 Located in Bur Dubai, this hotel is 2km from the Textile Souk, BurJuman Mall and Dubai Museum. Grand Mosque and Dubai Creek are about 3km. 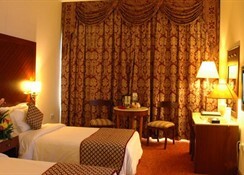 The hotel is about a 5 minutes’ drive from the Dubai International Exhibition and Convention Centre. The international airport may be reached by car in 10 minutes. 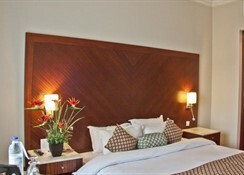 The hotel features 144 rooms divided into categories of three, Standard Room, Deluxe Room and Executive Suite. Each of the rooms feature thoughtful touches like bathrobes and slippers, along with general conveniences such as sitting areas and coffee makers. 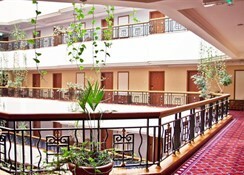 Other amenities available to guests include free WiFi, 24-hour room service, and LCD TVs. Guests are spoilt for cuisine choice here at the Regent Palace Hotel. With seven restaurants and cafés that serve Indian, Chinese, Mediterranean, Thai, Japanese, Filipino and more, guests can embark on a culinary tour of the world. For a more unique experience, check out Kalaka an authentic South Indian restaurant that serves food cooked and served in a traditional style. In the mood for some Mongolian food – head to Pillagers, where you select ingredients and hand them to the chef and watch him/her whip up a meal in no time! The hotel also has a 24-hour room service menu. Guests can make use of the twinkling rooftop pool or enjoy the state-of-the-art fitness centre and gym facilities on offer at Regent Palace Hotel. There is plenty of entertainment outside of the resort too, with the city centre located 3.1 miles away.